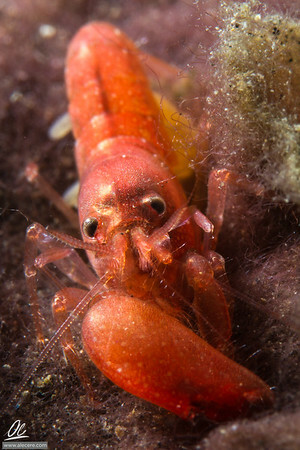 Hairy shrimps look constantly dancing on the leaves of their favourite algae. 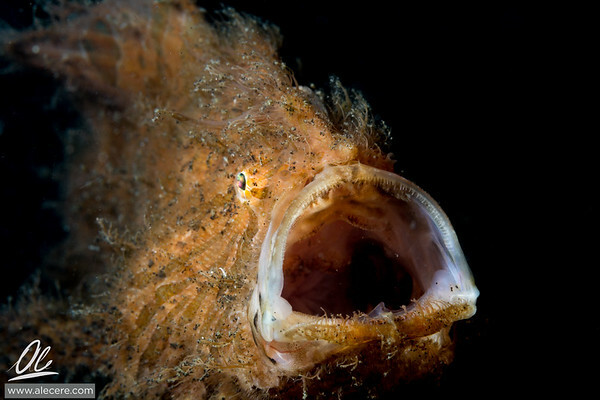 A hairy frogfish shows the full extention of its mouth. 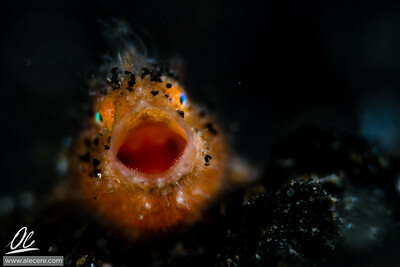 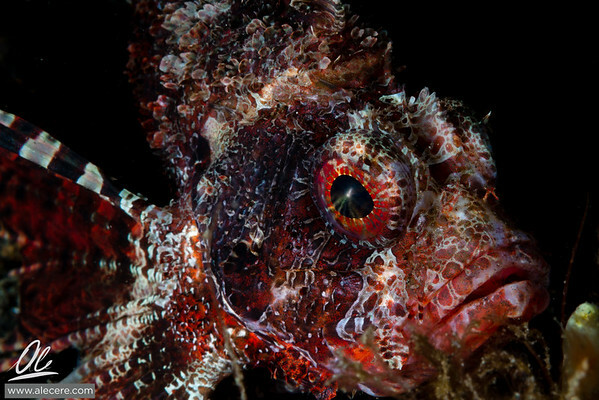 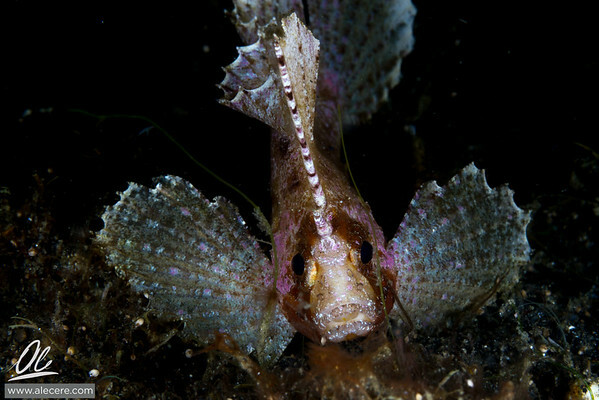 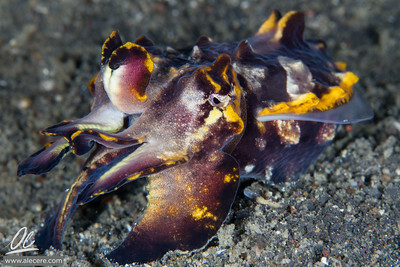 Taken in Lembeh, Indonesia. 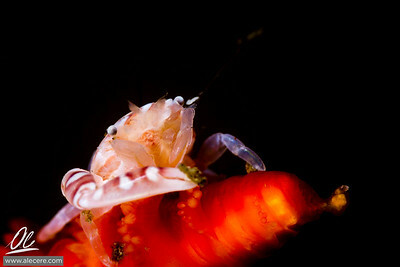 Doto watching over egss, Lembeh strait. 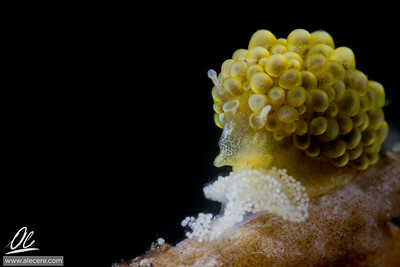 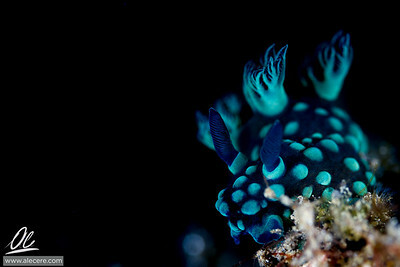 A Nembrotha cristata, a kind of sea slug, is nice enough to pose for me, while munching on some sea squirts. 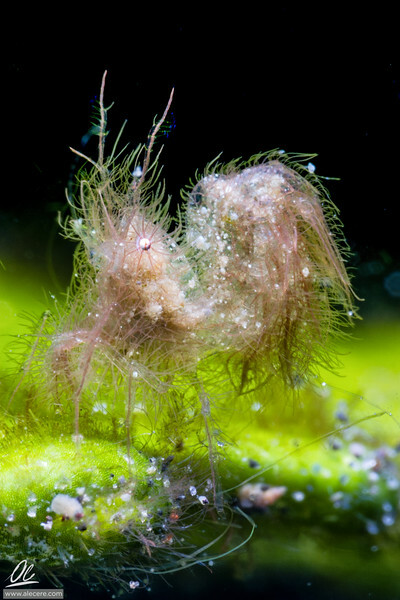 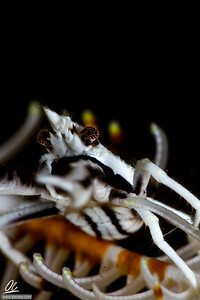 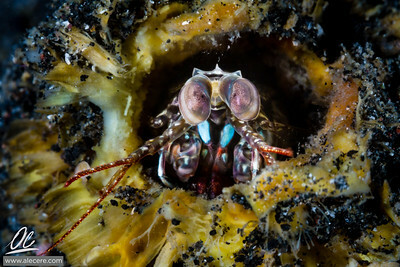 Pistol shrimp (Alpheus frontalis). 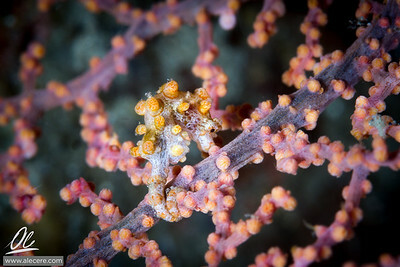 Lembeh, Indonesia. 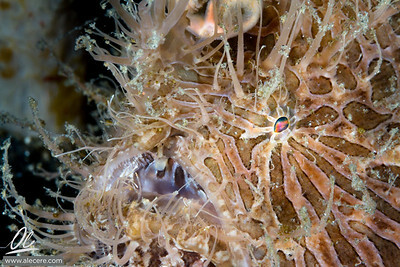 Waspfish mimicking the surrounding algae in colors and movement. 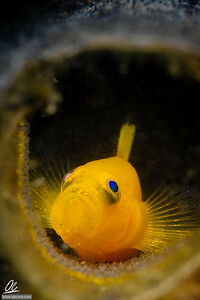 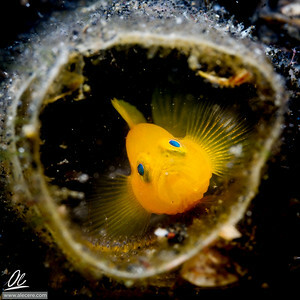 A yellow pygmy goby spread its fins to welcome nosy intruders. 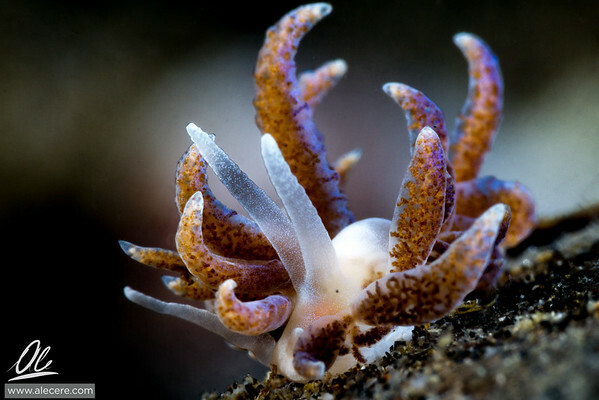 Phyllodesmium Magnum in Lembeh. 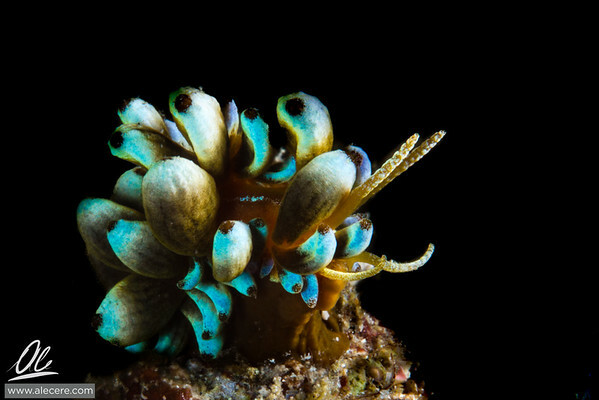 Color, textures, personality, it has it all! 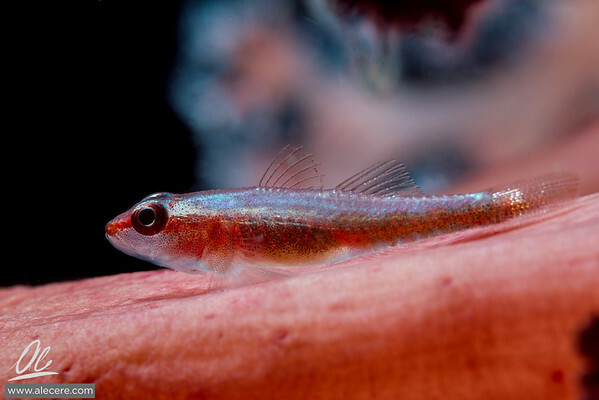 A tiny goby rests on the soft coral, its commensal partner. 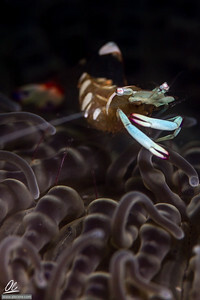 Kabira! 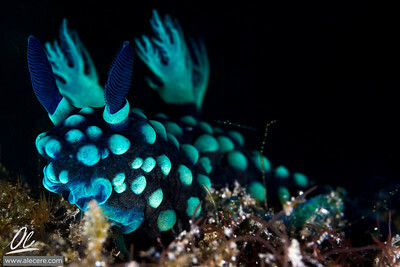 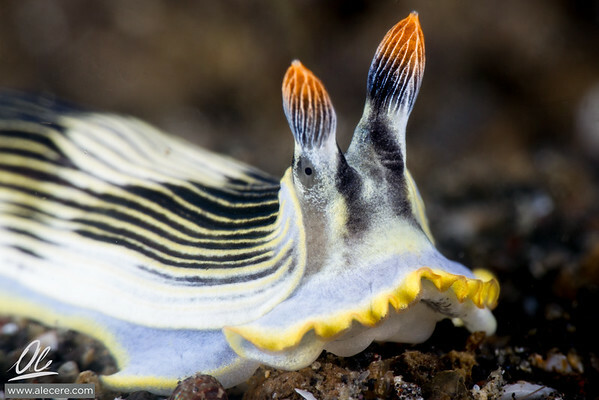 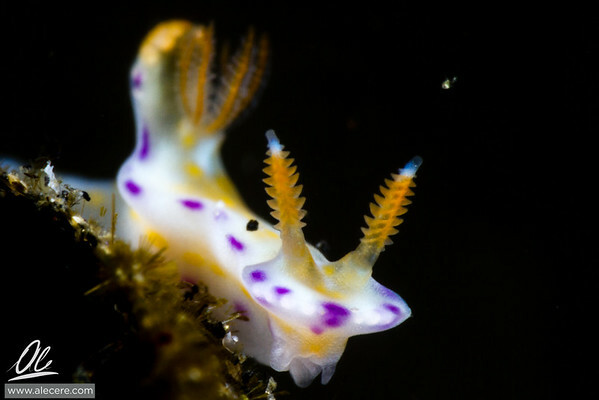 The elegant and complex pattern of the ceratas of this nudibranch make it a very interesting subject.